Here is another card that we made at the Handmade Holiday workshop. We used the set Calm Christmas and I just love the sentiments that it comes with. 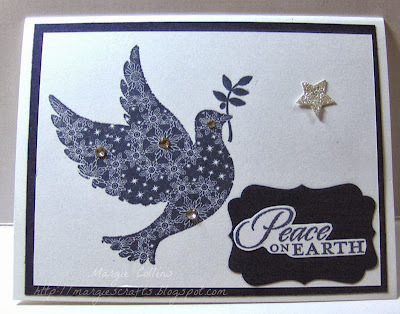 The added "bling" on the card with the rhinestones and the star in the silver glimmer paper really make this card so pretty. It is hard to see in the picture but Stampin' Up! has the best "bling"! 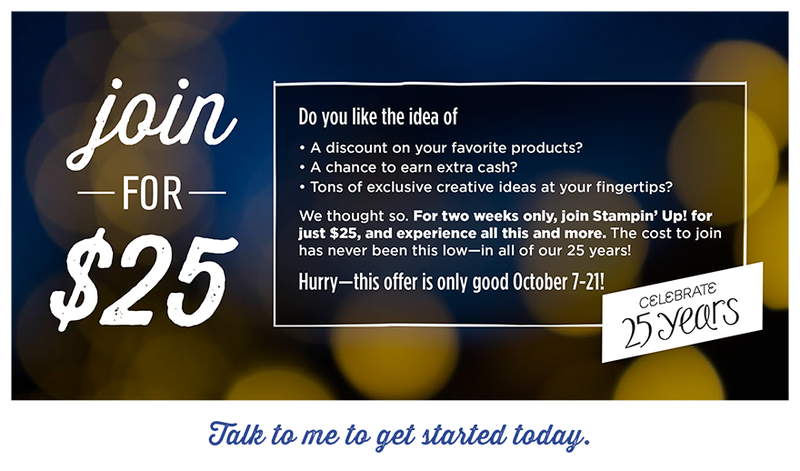 Don't forget about this great opportunity that Stampin' Up! is offering right now thru October 21st! I am on an amazing team with some top 100 demos and there are so many ways we can support you. AND HERE IS ANOTHER GREAT OFFER! 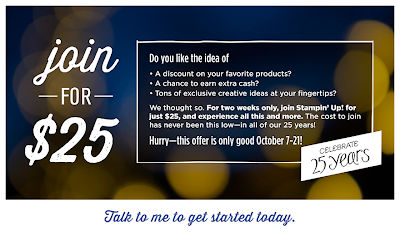 If you sign up under me, I will throw in another $20.00 worth of free product just for you. Just email me after you sign up with the free product items that you would like and I will get them shipped to you. DISCOUNTS! Who doesn't love a good discount!? !